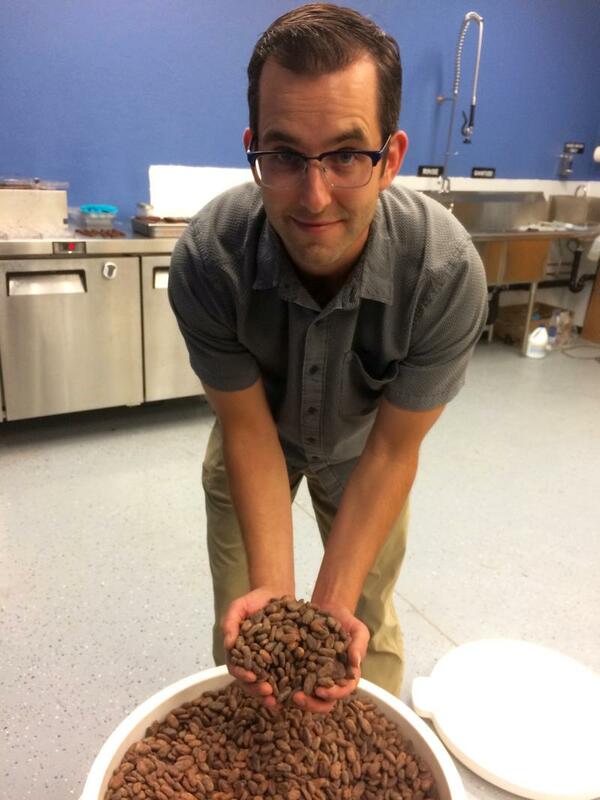 Sanity Chocolate proprietor Mike Caven, with cocoa beans. 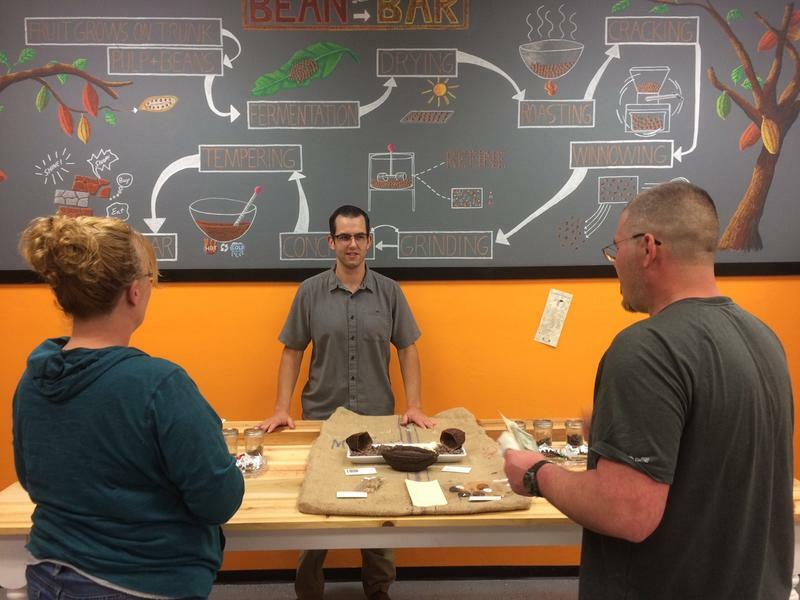 Caven talks with Danielle Stealey and Rob York, on how his chocolate is made and where it comes from. 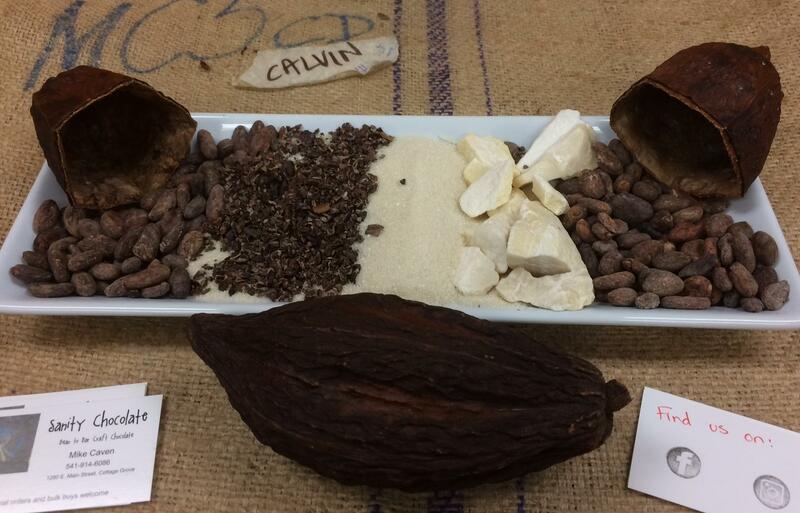 A display at a recent chocolate sampling educates guests on the chocolate making process. Rob York and Danielle Stealey talk with Bob Coven about their preferences. 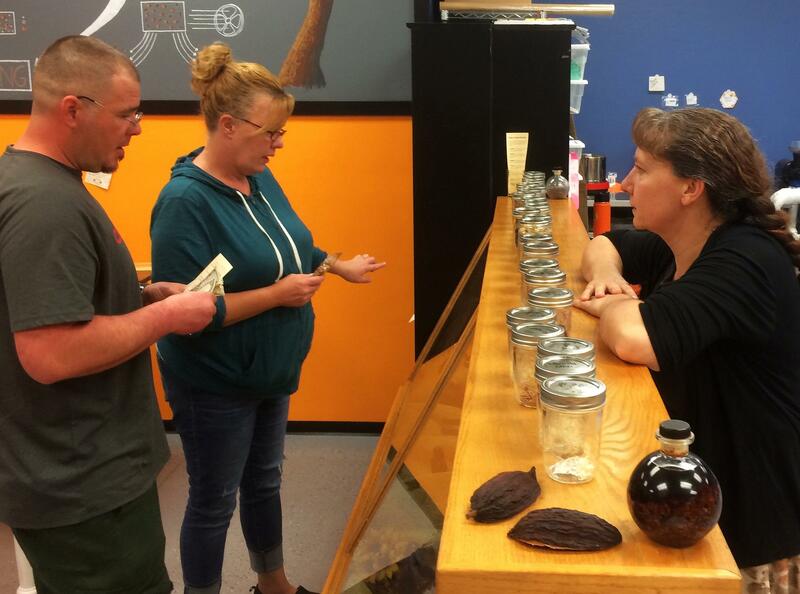 The city of Cottage Grove hopes a new business can sweeten its local economy. A budding chocolatier opened a storefront this fall, with an emphasis on direct trade buying and educating customers on where their food comes from. 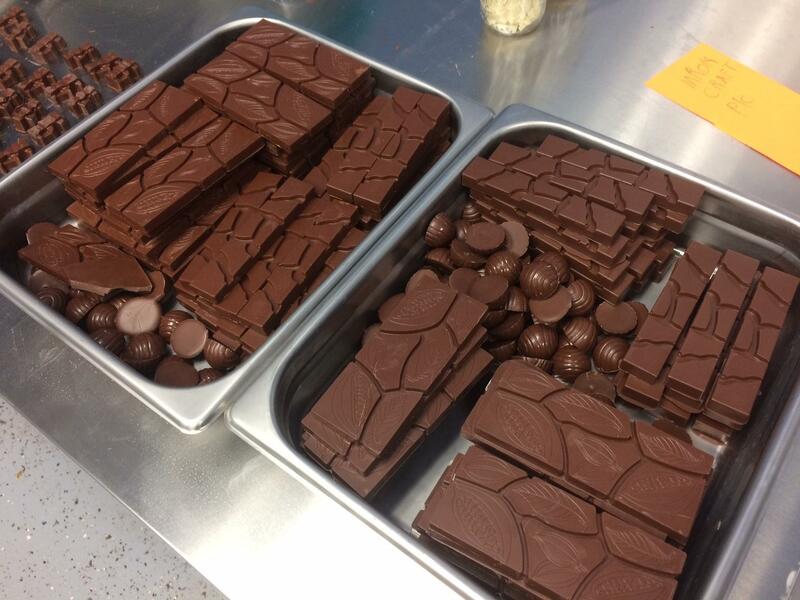 KLCC’s Brian Bull paid a visit to Sanity Chocolate, and has this report. In the back of Mike Caven’s kitchen, round metal appliances spin and whir, churning velvety ripples of dark, milk, and white chocolate. Caven explains. 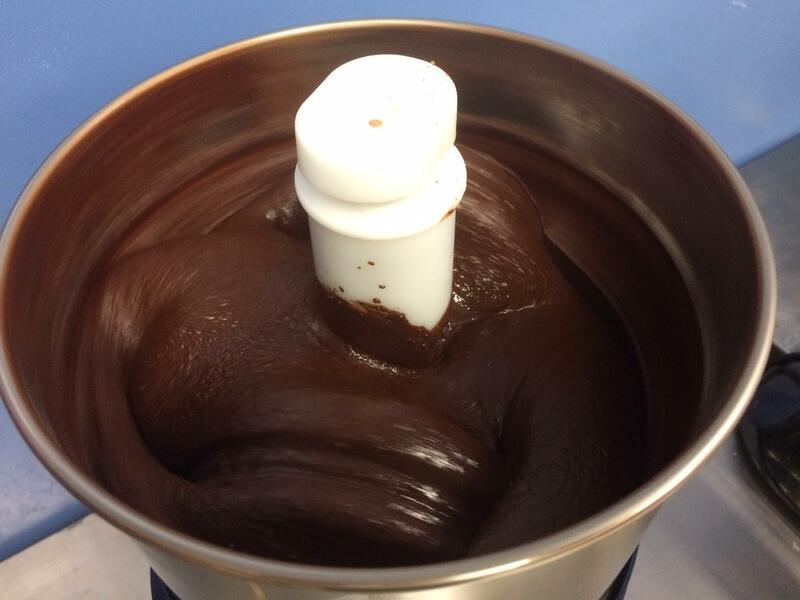 Wet grinder with dark chocolate. 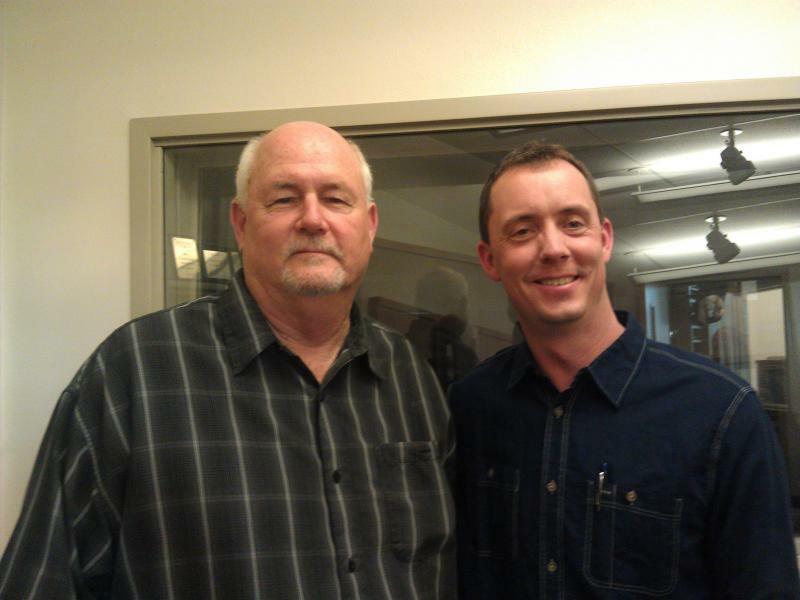 Caven’s riding high on his recent win in Cottage Grove’s Business Challenge. Sanity Chocolate took top prize over two dozen competitors, earning his business $6000 to invest in new equipment. On the walls hang heavy burlap bags that used to contain cacao pods from places like Mexico, Trinidad, Belize, and Ecuador. 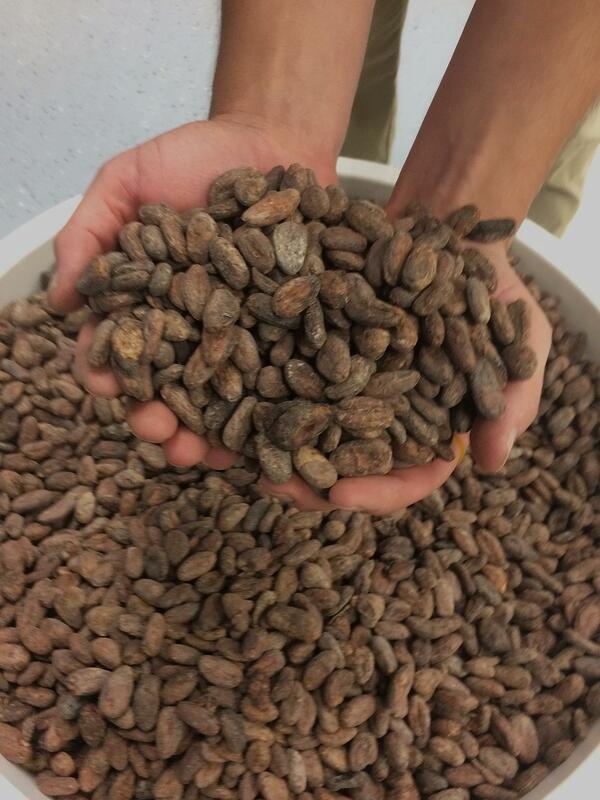 A bucket of cocoa beans awaits being transformed into chocolate in Sanity Chocolate's kitchen. “We work through a different couple brokers who do the direct trade, who work with the farmers," says Caven. For the City of Eugene firefighter, chocolate is a passion that started off with a tour of a Kauai chocolate farm a couple years ago. His wife, Bob, bought him some cocoa beans, and he ran with it. Caven says he’s really learned a lot since then. The Caven’s 7-year-old son, Adrian, also contributed. He created the logo that graces every Sanity Chocolate product. Adrian recalls the frenzied moment of inspiration that led to the distinct, bushy-haired stick figure design. 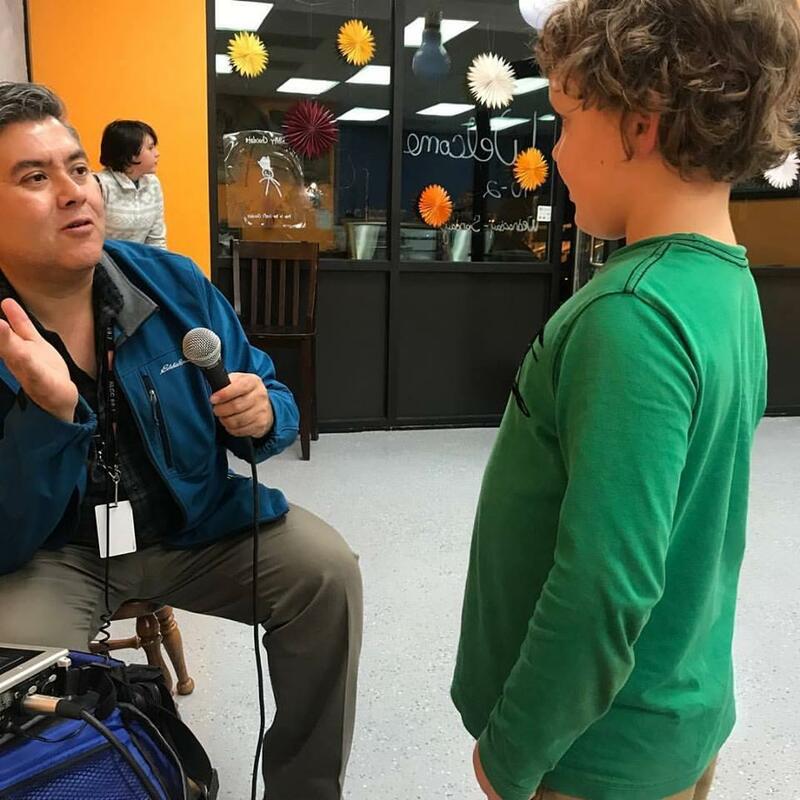 KLCC's Brian Bull interviews Adrian Caven on the creation of Sanity Chocolate's unique logo. There are more than 100 varieties of Caven’s bean-to-bar chocolate. Customers Danielle Stealey and Rob York are checking out some at a recent sampling event. “Here we have the cocoa chai white. Oh, nice. 'Cuz chai is like my favorite, anyways," says Danielle. Caven says he applies the same hand-crafted, artisan philosophy that’s re-invented beer and coffee in recent decades. "Some people say we’re 15 years behind craft beer, 30 years behind coffee. The movement where people care about what’s in their food, care about where it comes from, is really driving this. Fresh chocolate for the sales counter. Ultimately, Caven hopes to pump more revenue into the Cottage Grove economy, by relocating downtown within five years. 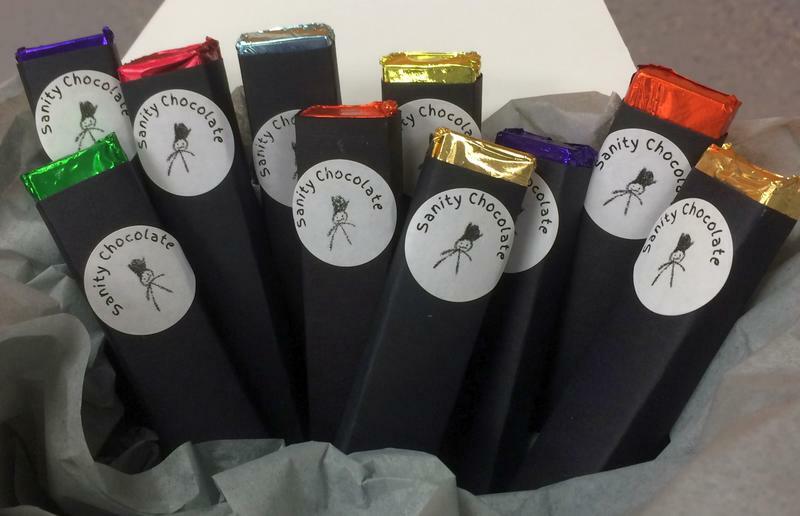 Given Sanity Chocolate’s appeal and business strategy, that’s no crazy scheme. The Euphoria Chocolate Company of Eugene was founded in 1980 by Bob Bury and his wife, Sue Subbot. They're retiring, having just sold the business to Van Glass, a software executive, and his wife, Bonnie. Bob and Van, seller and buyer, joined us to discuss Euphoria...and all things chocolate. 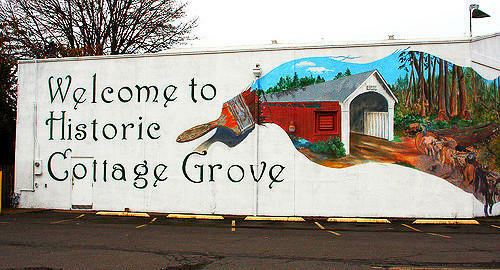 A new competition is offering $10,000 for start-up businesses in Cottage Grove. 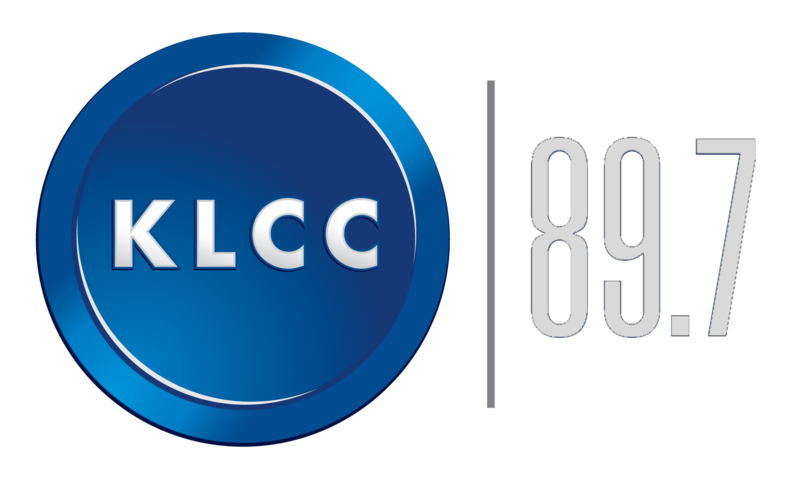 KLCC’s Brian Bull explains.